Are Costume Contact Lenses Worth the Risk? Costume contact lenses are made from the same hydrophilic plastic and material, your conventional contacts are made of. However, costume contact lenses need more attention from handling to wearing & storage. Since costume contact lenses make use of opaque dyes they may mask one’s original eye color completely. This may also lead to temporary vision obstruction leading to abrupt tripping & injuries in some unfavorable circumstances. Costume contact lenses are considered mandatory to help you have the spectacular transformation. Spending hundreds on costume won’t add an eerie effect until you add a fear factor with crazy Halloween contacts. At the same time, it is necessary you take your time for what you are buying than falling a victim to false advertising claims. 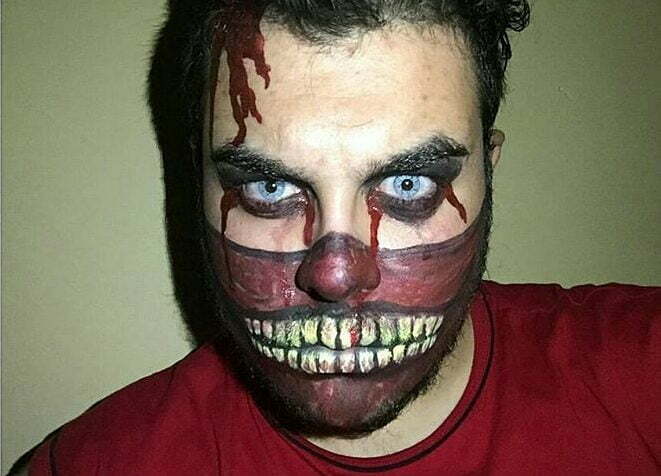 Provided you purchase your costume contacts from credible sources known to provide you USFDA & KFDA contacts, it is rare you contract an infection wearing those. Please follow the general instructions below released by American Institute of Ophthalmology to stay safe this Halloween. It is necessary to obtain a valid prescription from an eye care professional before you plan to try a pair of contact lenses. Get your eyes thoroughly examined to analyze possible chances of contractions. Some people are born with sensitive eyes that do not perform well with external agents. Your doctor being the only professional to assess how your eyes perform will be better able to guide you in this regard. Obtaining an up to date valid prescription is crucial. Even if you have unimpaired vision, experts recommend to obtain a prescription. In case of sensitive eyes or complications, your doctor will recommend your contacts with a brand name & other specifications to meet your needs. Costume contact lenses are most commonly sold in beauty salons, novelty shops and flea markets. These vendors usually carry substandard contacts, either locally made or imported from China. The only legit contact lens manufacturing industry exists in Korea that boast ISO, CE & FDA certifications. Make sure your supplier meets the health standards affirmed by FDA. Costume contacts are most often neglected. Since mystery contacts are not something you will daily wear, they are left unchecked for too long. Alike your regular contacts, crazy contacts also need to be thoroughly cleaned, disinfected and rinsed at least once a week. Forget about the lenses that you bought last year at Halloween but were never bothered to keep a check the rest of the months. No sharing is never an excuse. It is always a choice. Contact lenses have a natural tendency to adopt the shape of your iris. Sharing contact lenses does not only spread infections but also cause complications. If you cannot imagine about sharing someone’s tooth brush than why contact lenses? Follow these guidelines for a happy & safe Halloween. You don’t want Halloween to turn into a freaking nightmare, do you? Buy 100% safe to wear KFDA approved Halloween contacts at spooktacularly unbelievable rates!